Penguins are a noble bird! They can weather the most extreme cold on earth and are fiercely loyal to their mates, except in a few humorous circumstances. 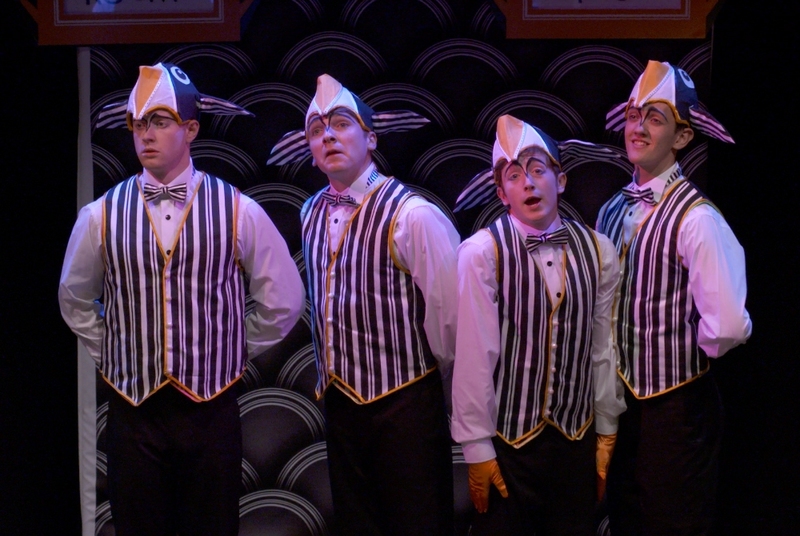 Penguins resemble miniature 19th-century Englishmen wearing dinner jackets and bowler hats (minus the bowler hats, but the hats are almost certainly implied.) Penguins are loaded with personality and fortitude. Did you know that there are something like 17 genus of the majestic water fowl and all are indigenous to the Southern hemisphere? The smallest is the Blue Fairy penguin who is found as far north as the tropics. The largest is the Emperor Penguin who lives exclusively in Antarctica. Penguins' mental capacity is greater than any other bird I can think of, capable of fetching like a trained hunting dog and possessing a memory that proves that mammals aren't the only creatures capable of bonding. 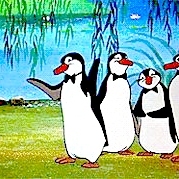 I was first introduced to the wonders of the penguin when I saw my father and uncle's iconic movie musical, Mary Poppins. 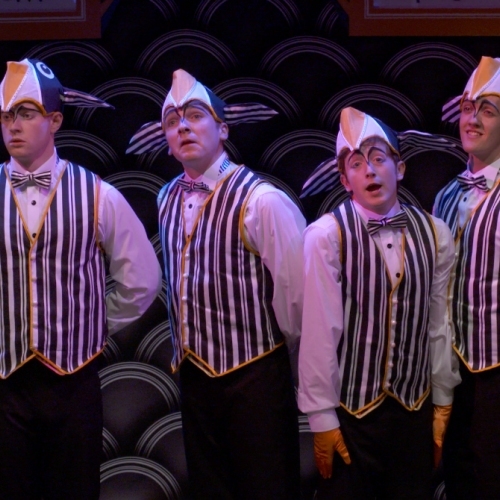 My father once told me that, while writing Poppins, he had suggested that the waiters could be dressed as penguins, to which Walt Disney added, that the waiters could actually BE penguins! No one in the room understood what Walt meant at the time. 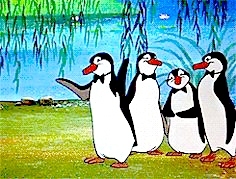 52 years after the film, Mary Poppins was released though, we now know what Walt had in mind - the penguins would be animated. Find out more about Love Birds here.